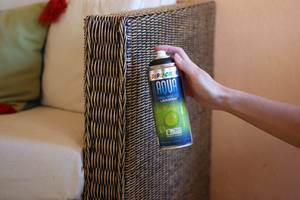 The environmental-friendly spray paint - 90 % of the solvents have been replaced by water. High-gloss and matt colours as well as a primer in a new, quick-drying quality. Even suitable for outdoor objects. For nearly all surfaces: for the lacquering of kitchen and bathroom accessories, gardening tools and garden furniture, children’s rooms and toys etc. made of wickerware, wood, carton, metal, fabric, paintable hardplastics, glass, ceramics, etc. Even suitable for use on polystyrene. The lacquered objects can be cleaned with a mild dishwashing detergent. From translucent to cover coat - you decide about the depth of colour! Here you find a video spot. According to DIN EN 71-3 suitable for the painting of toys. Flaws made during the spraying can be corrected within 20 - 25 minutes after application. Within this space of time the „open“ paint layer can be washed off with water and soap. 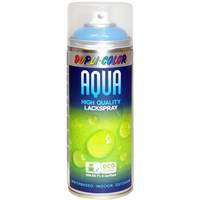 Available in many colours, as primer and as high gloss and matt clear coat. Appearance/smell: Pleasant vanilla scent during spraying. The final surface hardnes is achieved after approx. 5 days. During this period the painted object should not be exposed to permanent wetness. Disposal: Put only empty cans into the recycling bin. Bring cans with remainders of paint to the special refuse disposal. 4 years if appropriate storage provided (=10°-25°C, relative air humidity max. 60%). Sedimentation: has not been noticed. The surface must be clean, absolutely fat-free and dry. Remove loose parts. In spite of low formation of spray mist, we recommend to protect the surrounding area. Pre-paint absorbent grounds with AQUA Primer. Let dry (at least 2 hours). Prime hardplastics with a Plastic Primer. 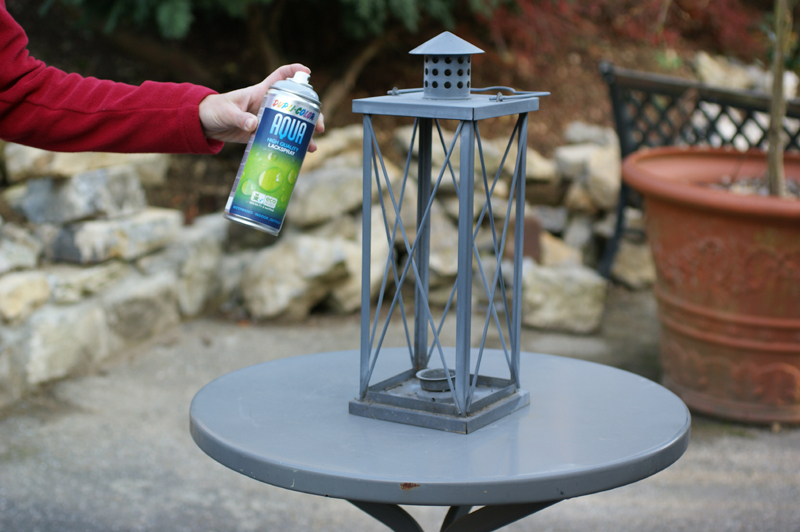 Shake can for 3 minutes, test spray. The optimal distance is approx. 25 cm. Spray in 2 minute intervals several thin layers. 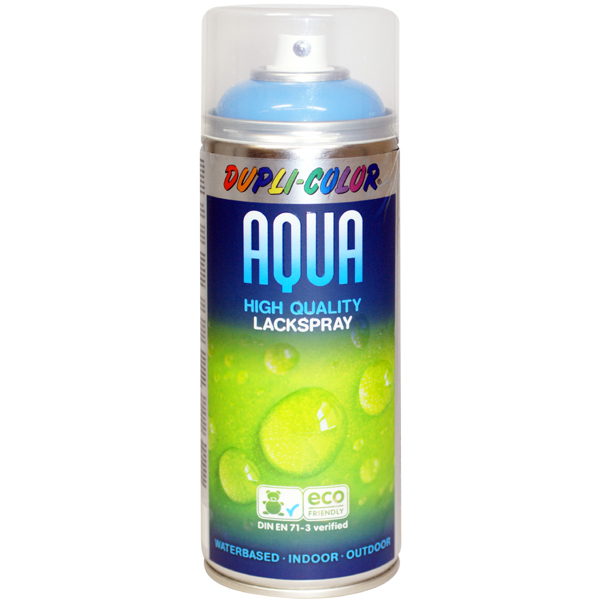 AQUA spray paint should not be applied during temperatures lower than 15°C, as this might delay drying time.